At 180 years old in the year of 2014, Toronto is a fairly young city. However, it still features very diverse architecture. The thing that is most impressive about this is how compatible the old architecture of the city is with the new. Toronto has many restored buildings right next to its new developments. That is a major accomplishment, and it actually works very well. On the downtown’s western edge, the gateway to Toronto is full of both modern and historic structures. From the buildings of the Canadian National Exhibition dating back over a century to more recent additions like Ontario Place, which initially opened in 1971 but then was closed in 2012 for the city and province to plan the site’s future use. Once you get past all of this, you’ll be in the heart of Toronto’s downtown area. One of Toronto’s best views is up on Bay Street, looking at the Old City Hall’s Clock Tower. This building is absolutely magnificent and has always really stood out due to its impressive architectural details. Right around the corner is the New City Hall of Toronto, which opened in 1965 and was designed by Viljo Revell, a Finnish architect. Nathan Phillips Square is right in front of City Hall. It is home during the winter to a very popular skating rink. The square is used during the summer for a farmer’s market, a free concert and other activities. The construction of the New City Hall makes it just as distinctive as the old one. It is fascinating to be able to see the two designs located so closely to one another. Toronto has many historical buildings. In many of these older buildings, one of the most intriguing elements is how much detailing they feature. Many of these buildings feature stone carvings across their facades. It is amazing how so many have been able to stand the test of time. One of the most beautiful and exciting buildings is Whitney Block located on Wellesley Street. There is also the Canadian Pacific Railway Building, formerly Toronto’s highest building. Union State has its own unique character. Entire books could be written just on its architecture, and most likely at some point has. A major renovation was set to be complete at Union Station in 2014. Casa Loma is Toronto’s early 20th-century castle. The setting for the castle is gorgeous, and everything is in place the way it was nearly one hundred years ago when it was initially built. Casa Loma, with its backdrop of beautiful gardens, is a stunning sight. Another famous Toronto landmark is the Royal York Hotel. In addition to the previously mentioned buildings, a couple of other noteworthy structures in Toronto, some new, and some old. Princess of Wales Theatre, Roy Thomson Hall and the University of Toronto campus (in addition to the University of Toronto Robarts Library which has been designed to resemble a giant peacock). Toronto has numerous other architectural feats, in fact, there are so many that it is impossible to mention them all. There has also been a cultural renaissance underway in the city of Toronto, with the Royal Ontario Museum seeing a major expansion completed (designed by Daniel Libeskind), completion of Art Gallery of Ontario’s Gardiner Museum in 2008 (designed by Frank Gehry) and a new home for the Gardiner Museum as well as the National Ballet of Canada and Canadian Opera Company (Four Seasons Centre for the Performing Arts). These new facilities all demonstrative impressive quality. Toronto’s malls can also be viewed as being quite artistic in their own unique ways. Bayview Village, Yorkdale Shopping Centre, Woodbine Centre, Queens Quay Terminal, Hazelton Lanes, Sherway Gardens and Toronto Eaton Centre are all very well thought out and different complexes. In fact, a strong case can be made that the Toronto Eaton Centre is the most significant of all the retail buildings built during the 20th century in Canada. Toronto has a unique environment with an interesting and balanced mix of both new and old. 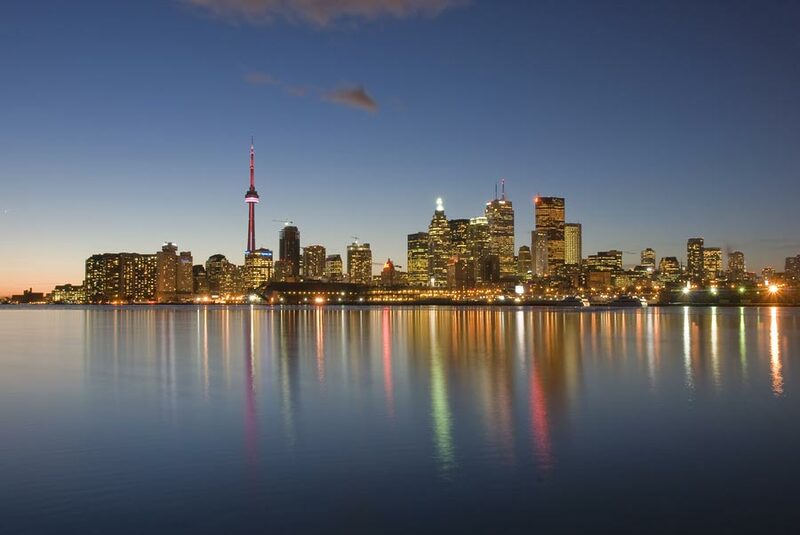 Toronto is the ideal city to visit if you would like to experience this firsthand. Toronto’s malls can also be viewed as being quite artistic in their own unique ways. Bayview Village, Yorkdale Shopping Centre, Woodbine Centre, Queens Quay Terminal, Hazelton Lanes, Sherway Gardens and Toronto Eaton Centre are all very well thought out and different complexes. In fact, a strong case can be made that the Toronto Eaton Centre is the most significant of all the retail buildings built during the 20th century in Canada. Toronto has a unique environment with an interesting and balanced mix of both new and old. Toronto is the ideal city to visit if you would like to experience this firsthand. Many of the buildings mentioned above are featured in the architectural walking tours that are available from May through October every year. Toronto Architecture Tours are run every weekend by the Toronto Society of Architects (an Ontario Association of Architects’ local non-profit chapter) starting in May through the end of September. Three separate two-hour walking tours are offered which focus on the temporary architecture (post World War II) of Toronto. Tours are also run by Heritage Toronto, which focuses on pre-World War II buildings more that make up some of the unique heritage neighborhoods in the city. In late May architecture fans, all look forward to the Doors Open weekend which happens every year. More than 140 buildings, open to the public, free of charge. For many of these buildings, it is the only time they are open to the general public. Architectural exhibits are displayed at Eric Arthur Gallery which is part of the Faculty of Architecture, Landscape, and Design at the University of Toronto. There is often a local connection to these exhibits. Admission is free.